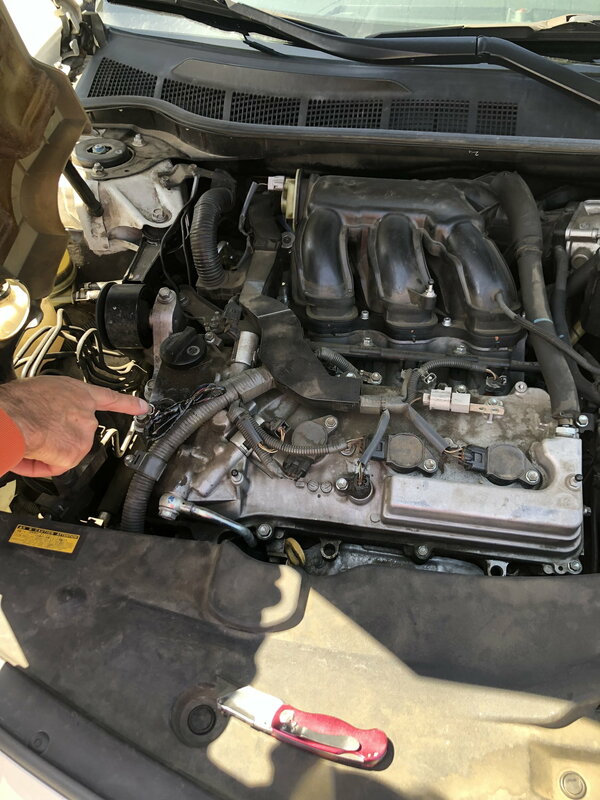 I have a 2007 camry v6, I was having issues with my a camshaft sensor, replaced the sensor and the harness with the plug, soldered the wires, pin 1. Red middle pin. Black pin 3. White/yellow. The problem is now it’s throwing off a different code that says there’s a camshaft sensor circuit malfunction. I am it car savvy like most of you here, so please help. what Is the fix here? Why was the need to solder? The wiring has shielding which needs to be continuous. Is this the sensor on the cylinder head closet to the radiator and for the intake cam? Did you reconnect any shielding on the wire harness? Its appears to be a sensor on the cylinder head closest to the radiator and on the side of that head that is closest to the intake manifold. As such it appears to be the sensor the code you are receiving P0345 is linked to. There is another code you may have found such as P0340 which is a general camshaft sensor code. If the replacement sensor is the right one. Suggest again checking if the harness electrical shielding is continuous from the plug to the ECM. The sensor uses a shielded cable to eliminate outside electrical interference. Note the wire colors the manual lists are White No 1, Black No 2 (middle) and Red No 3. If looking at the plug terminals (end that plugs into the sensor) with the plug lock oriented up. Typically the No 1 terminal is upper row and far left, then No 2 with No 3 being on the lower row. so I think I have the red and white wires backwards...couldn’t find a diagram anywhere online so I just looked at my uncles sienna and saw how theirs was wired since it is also a v6 and that’s the way I did it. I will re do it and see what other codes come up and check back with you! I appreciate all your help! Here are the new codes coming up since I fixed the wiring. Why was the wiring/plug damaged? Any other wiring problems/damage, ground location problems? Since the recent code issues started with the wiring change on the camshaft sensor. 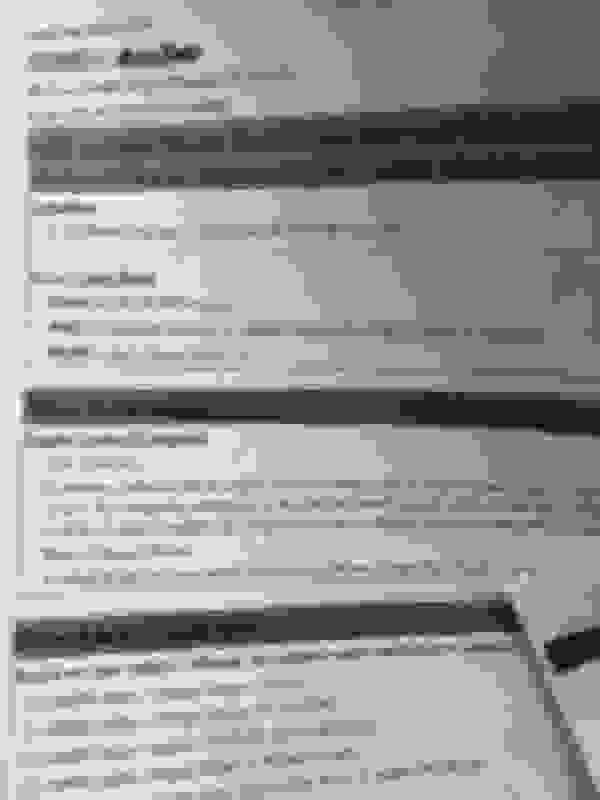 Suggest getting a wiring diagram from Toyota TIS website. Cost is $20 for two days but can download all Toyota info one wants. This to resolve the issue of the camshaft sensor wiring colors and wire connection points to the harness plug. 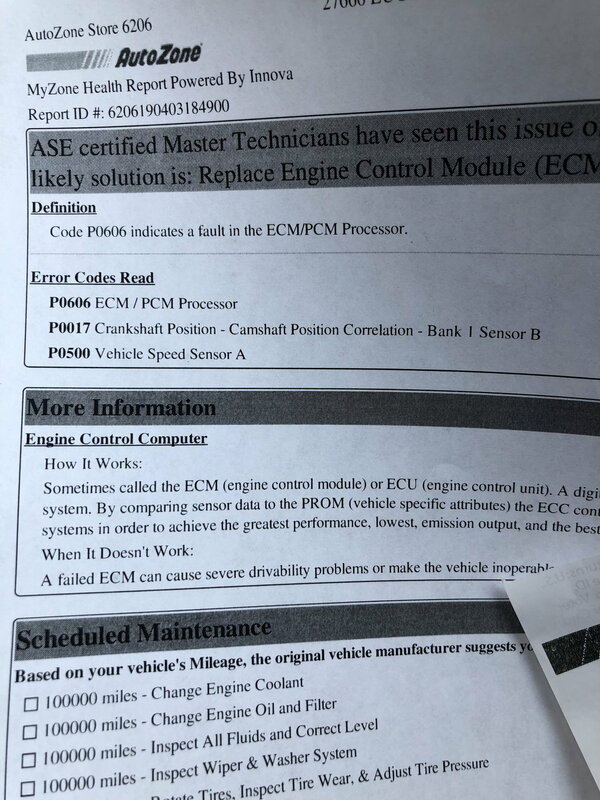 P0606 comes up with Toyota and doesn't mean its an ECM issues. Could be wiring, low voltage to ECM, grounding issue. Suggest sticking with the first code issue posted before chasing other codes. so the sensor I’m working on, is that bank 1 sensor b?